Starting your SaaS was a daunting task, but the journey doesn’t end there. You’ve no doubt worked diligently to ensure your SaaS is affordable, performance driven, intuitive to use and above all, useful. But despite having those things on lock, it’s not enough to ensure you’re getting the most out of every promotional and advertorial dollar spent. When it comes to SaaS products, customer acquisition can be one of the most costly business expenditures you’ll face. With competition in most spaces heating up, every dollar spent needs to count. Ideally, each dollar should run off and come back with a few more of it’s friends (i.e. a strong ROI). And when it comes to getting the most ROI out of your efforts, nothing is more important than CRO (conversion rate optimization). CRO is a practice that allows you to squeeze more value out of every single promotional or advertising channel you pursue, increasing the number of conversions to both paid and free subscribers once those potential customers hit your site or landing pages. How does CRO for SaaS Products Differ from “normal” CRO efforts? SaaS products and services represent a unique category of offers that don’t always play by traditional CRO rules. Conversion rate optimization for your SaaS can be both easier and more challenging all at the same time. If that sounds like an oxymoron, you wouldn’t be wrong. SaaS products have unique prospect, selling, onboarding and retention cycles that are often not seen in other industries (ecommerce for example). Whereas other sites might represent a transactional relationship (say a digital download or a pair of shoes), SaaS companies have the challenge of developing a relational business transaction whereby an ongoing relationship must be fostered and nurtured. Another key aspect of SaaS CRO is the conversion of “free” or “trial” subscribers to paying customers. In fact, the “free trial” model currently dominates the SaaS market with over 70% of all SaaS businesses offering some form of a non-paid trial period. As such, one of the dominating challenges for many SaaS brands revolves around how to convert non-paid subscribers into paying customers. SaaS customers and prospects have unique life-cycles during which your organization is in constant and fluid contact with your subscribers (both paid and free). This gives your brand an endless stream of opportunities to engage, build relationships, demonstrate value and establish trust. Data from these interactions can be used to further refine your branding, core messaging, user experiences and interfaces, and more. Incremental changes can, over time, result in a dramatic improvement in conversion rates, adding to both the bottom line and satisfaction ratings from subscribers. While more opportunities to engage is typically a good thing, this situation also poses a distinct challenge of having many moving pieces, processes and strategies to manage. For example, a touchpoint early on in the pre-sales stage may impact free sign ups, while a “how to” webinar sequence might impact conversion rates from free to paid users, and yet another tutorial sequence having an impact on reducing churn or refund requests. Those are just a few very basic examples, but the reality is that many SaaS brands have up to dozens of touchpoint strategies with varying goals depending upon the exact lifecycle state the prospect or subscriber is in at any given moment. Many of these strategies not only have an impact on their existing lifecycle stage, but also provide many downstream improvements in conversion rates. Thus, SaaS conversion rate optimization is not just about improving the conversion rates of landing pages, but more so a holistic approach to improving the overall conversion of your prospect to the next stage of your SaaS lifecycle. SaaS CRO can be intimidating, but it doesn’t have to be. By implementing the following strategies you can leverage the opportunities SaaS products present to build trust, engage in conversations and book KPIs at every step for the customer journey. When it comes to SaaS businesses, data is key to making decisions that are both informed and impactful. The first step of improving CRO is to establish baseline metrics at each stage of your SaaS customer journey. First, identify the various stages of your customer’s journey with your product. Once identified, figure out what metrics are both measurable and important at each stage. Out of those metrics, prioritize them by importance to your designated goals. Now that you know what you want to track, it is time to document these KPIs so that you can implement analytics and draw insightful conclusions from that data. Each KPI and statistic represents an opportunity for improvement. *You may find that a strategy implemented farther up the chain has little immediate effect, but has a dramatic impact on a KPI farther down the line. Trying to optimize CRO with low quality or unqualified lead flow is like training for a race with crutches on. You could optimize your landing pages and on-boarding process until the end of time, but if you’re not sending qualified traffic to those pages in the first place it won’t matter one bit. When working on proper targeting and lead scoring, its important to bring all your relevant teams together in order to establish a synergistic workflow and a broad holistic effort towards reaching the same goals. Establishing customized and tailored landing pages and workflows for each demographic is also an important consideration. Earning new sign ups is or trial members is step one. Once you’ve got them to sign up, stage two is encouraging the transition of those sign ups to “active users”. After all, if they don’t care enough to use the free plan, not only will they get no value, they certainly won’t see the point in paying for the full version. In fact, research from Intercom, a leading communications SaaS shows that around 40-60% of “free subscribers” will only use a SaaS product once, never to return again. It all begins with engaging your members in a manner and fashion they demand. Utilize all communication channles at your disposal, including but not limited to: chat, support ticketing, phone, email, webinars, social media, and more. Seek to identify key points at which your subscribers transition from “testing” to daily use, and work to establish a strategy to move free users to that stage. When it comes to strategy, don’t overcomplicate. Stick to the old KISS adage – keep it simple stupid. Don’t overcomplicate the UI, especially for new users looking to spend a few minutes seeing how “easy” it is to begin using your systems. Lastly, technology is a wonderful thing, utilize it. Incorporate demos, onboarding videos, webinars and more to showcase use cases and implementation techniques to help your newly earned sign-ups adopt fast and easily. The next stage is to turn those “free” and active subscribers on the trial or freemium version to a fully paid subscription. One of the primary keys to making this happen is a well-designed and implemented on-boarding process. Support is key. Make sure to provide both help and assistance at every stage of the customer journey. Also, remember that not every one learns in the same way. While one member may enjoy reading tutorials, another may absorb information better through video demonstrations, and yet another through interactive demos. With this in mind, let users choose how they want to receive help and assistance. Provide your users with highly relevant content and communication including: in-app messaging, links to blog articles, personal emails and even phone calls. Encourage and support integration of your app with other third party apps your subscribers use (the more interconnected your app is with other apps they use the more likely they will be to adopt and keep yours). Checking out can be a major bottle neck for many SaaS providers. In fact, overall cart abandonment averages can be as high as 68%+ in some cases. Provide a seamless and simple upgrade process (cart, etc.) to help reduce this pain point. Further, provide clear and concise pricing and features comparison charts to facilitate decision making. One of the most common triggers for cancellations is getting invoiced for the next month’s subscription fees. Each new bill is a “reminder” to the client that they are paying for a service. Given the delicate nature of this communication, you have a unique opportunity to provide value and remind them WHY they are paying as well as the value you bring to the table. CRO isn’t just about “new” customers and subscribers, it’s also about finding new ways to provide new and expanded levels of service and value to your existing user base. This can be accomplished by way of promoting cross sells or up-selling to more robust or feature rich plans. Cross selling and upgrades don’t have to be difficult. Help your subscribers explore new and exciting ways to use your services with case studies, relevant content and by communicating ways your product can deliver value. Encourage feedback and execute surveys to uncover features and services your customers need and want, and consider offering free or limited trials of upgraded service plans or features. To traffic converts better than referral traffic. Period. 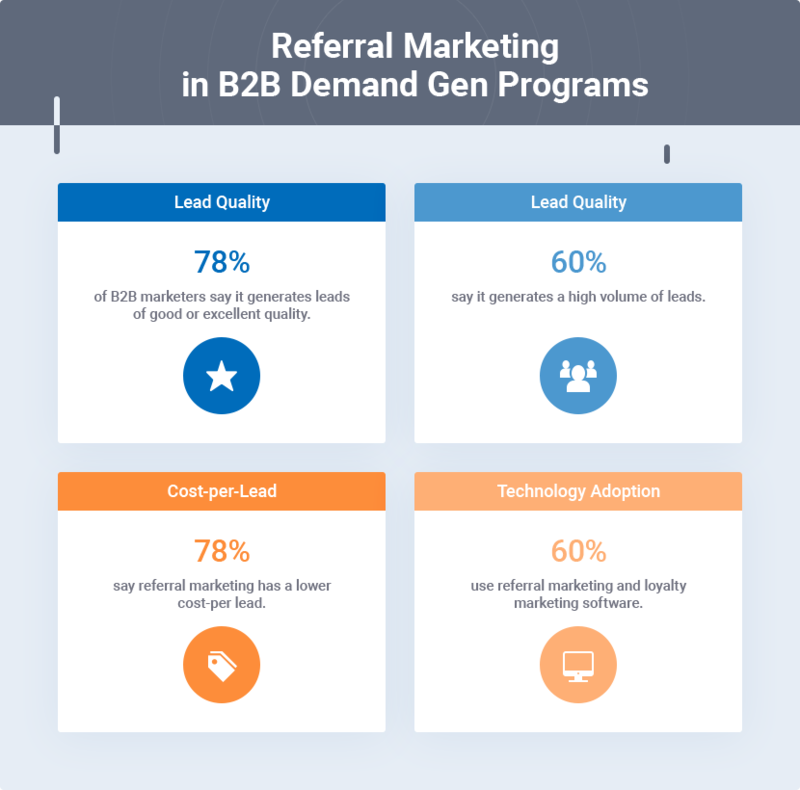 But finding ways to earn and generate new referrals can be difficult…and begging isn’t exactly an option. SaaS CRO can be a difficult subject to cover, and even more difficult to implement. But it doesn’t have to be. While CRO can certainly be complicated, focusing on the right metrics with the right systems and processes can make all the difference. In many cases, a subscriber/customer centric approach is best. Continue to “wow” your customers and much of CRO optimization will take care of itself.